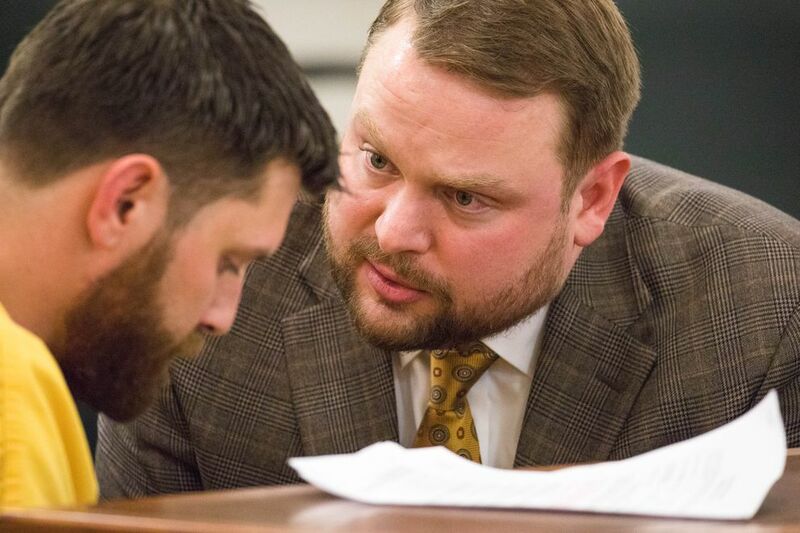 PALMER — A bearded, tattooed and silent Track Palin sat in a Palmer courtroom Wednesday as a judge signed off on house arrest for charges from Palin's assault on his father Saturday. Palin, 28, was arrested by Wasilla police Saturday after his mother, former Alaska Gov. Sarah Palin, called them for help. He is charged with felony first-degree burglary and misdemeanor fourth-degree assault, both related to domestic violence. Todd Palin told officers his son came through a window and beat him on the head after the two argued about a truck Track wanted, charging documents say. Todd said Track had been drinking and taking prescription pills. Todd met Track at the door with a pistol but did not use it. 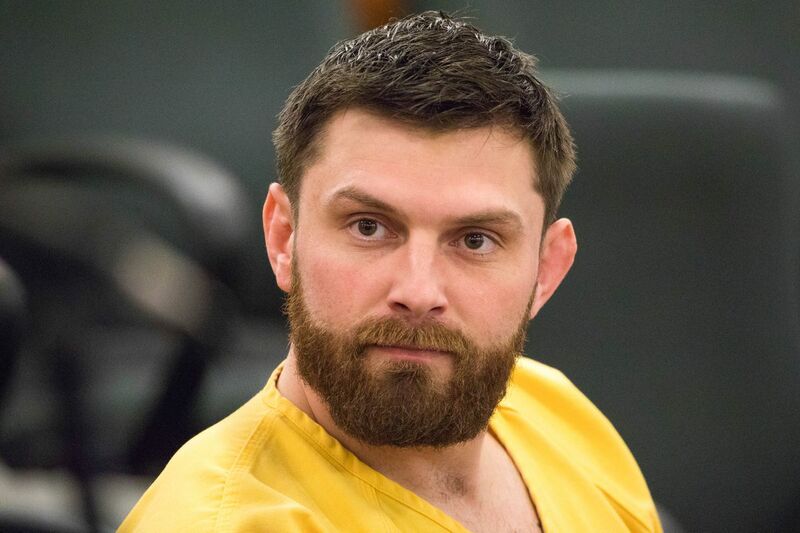 Track Palin, jailed since then, sat with his back to a row of media cameras in yellow Mat-Su Pretrial Facility scrubs during Wednesday afternoon's hearing in Palmer District Court. He said little. 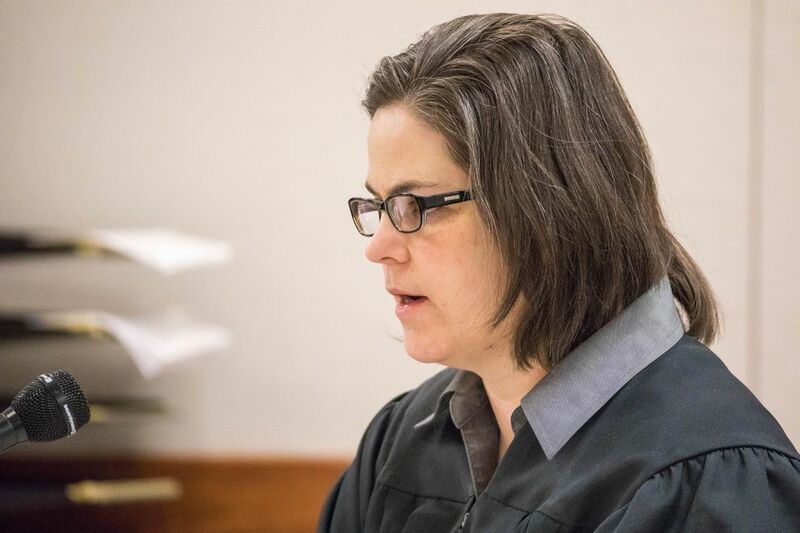 Magistrate Judge Tara Logsdon approved house arrest with electronic monitoring for Palin and kept his $5,000 bail. Logsdon said she expected Palin to be released Wednesday. Once released, he's not allowed to go within an "exclusion zone" around his parents' home along the Parks Highway, or near liquor stores or places serving alcohol. He can't drink and must take prescription drugs only as prescribed. All weapons must be taken out of his house. Palin, who lives alone, will be allowed to go to medical appointments and to work at Alaska Directional LLC, a drilling company in Palmer. The family supports the house arrest request, Todd Palin told the judge by phone. His parents and siblings — younger brother Trig and sister Piper — still want contact with Track, Todd Palin said. It's not known if the children were in the house during the assault. Prosecutor Lindsey Burton objected to many terms of the bail modification requested by Track Palin's attorney, Patrick Bergt. She also requested — and received — the judge's requirement that he seek mental health evaluation within two weeks of release. Burton called Palin "a loose cannon" who could present a public safety threat if he violated house arrest. Saturday's assault caused "significant injury" to Todd Palin, she said. Police said he was bleeding from head wounds. Then Track Palin refused to cooperate immediately with police, leading to a standoff. "It could have led to a much more dangerous situation," Burton said. Bergt, Track Palin's attorney, objected to her characterizations of his client, calling them "assumptions at best." 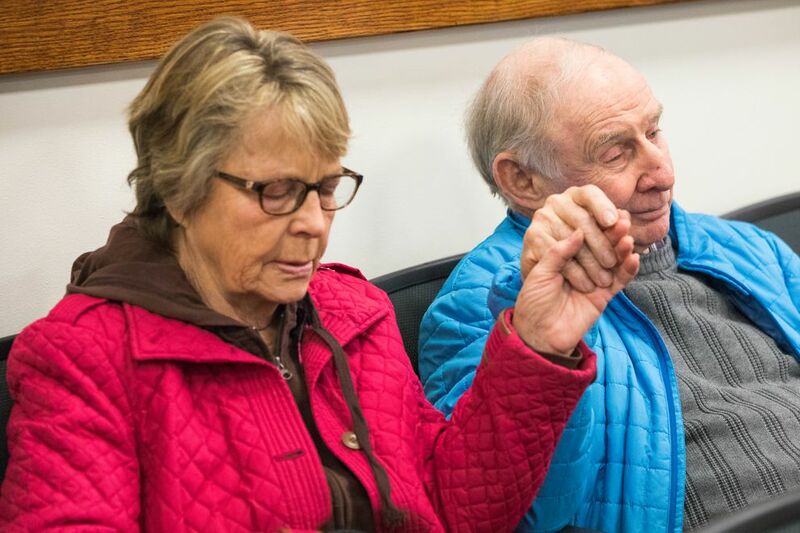 Chuck and Sally Heath — Sarah Palin's parents — attended the hearing. It was a sad day for the family, Chuck Heath said as they walked into the courtroom. The Heaths sat, somber, in a back row. If he's released, Track Palin will wear a "real-time" live GPS monitor affixed with a steel cuff to his ankle, said Dennis Johnson, whose company Alaska Pretrial Services will be charged with making sure Palin complies with the judge's order. He'll also carry at all times a cellphone-sized, 2-inch-thick facial recognition device that also tests for alcohol, Johnson said. Palin will have to blow into that device at least six times a day. If he leaves his house without permission, the company will get an immediate notification, Johnson said. His company will go through Palin's house before he gets there to remove all weapons and do a count of all prescription pills. If Palin does leave and gets within 2 miles of "exclusion zones" like liquor stores or his parents' house, Alaska Pretrial Services case officers in the field would go to his location and work with law enforcement to protect the Palins, Johnson said. "I spent a lot of time talking to Todd and Sarah about this," he said after the hearing. "The program has to be personalized." As of midafternoon Wednesday, Palin was still in custody.